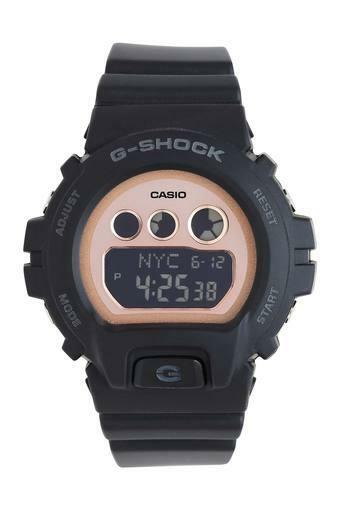 Enrich your accessory collection by adding this wonderful digital watch from the house Casio. Featuring a beautiful round dial, the stylish strap of this watch is long lasting and skin friendly. Made from a premium quality resin material, the strap is sturdy and promises a comfortable fit when you adorn your wrist with it. It comes with water resistant capacity up to 200 meters which make it more durable. Make a desirable choice with this chic digital watch. The watch is long-lasting and light in weight which makes it highly durable. Time to make this unique product yours soon.